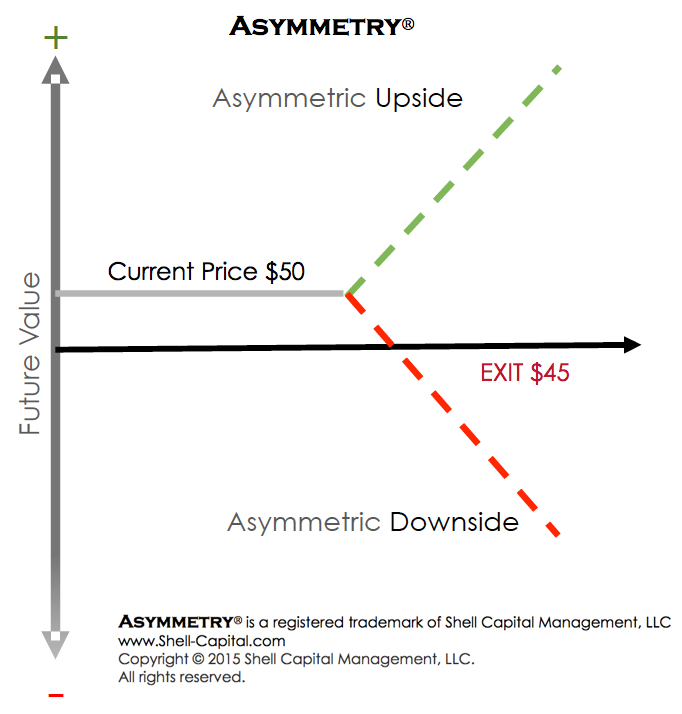 Asymmetric payoff isthe upside potential is greater than the downside loss. Asymmetric payoff isthe upside potential is greater than the downside risked. For example, you risked $1, but earned $2. Or, you expect to earn $2 when you risked $1. Asymmetric payoff isthe upside probability (a mathematical calculation) is greater than the downside loss or risk.